Core and wedge apple. Gently pat slices dry with a paper towel. Spread slices with chocolate peanut butter. To keep apples from browning, drizzle with lemon juice before topping with peanut butter. 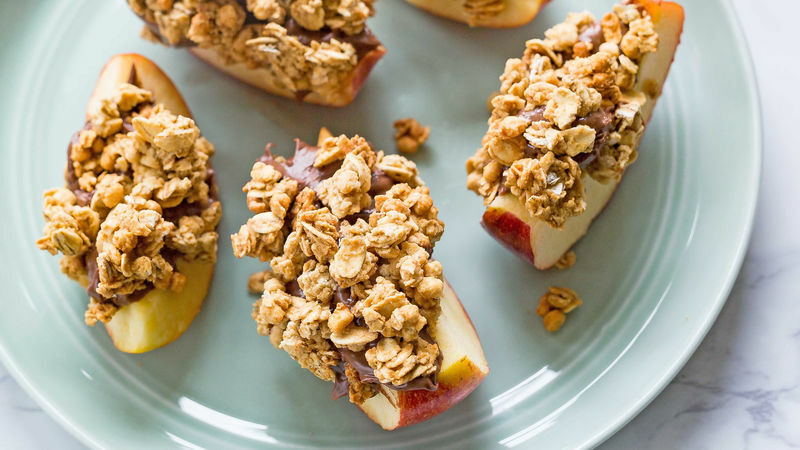 When you’re craving something snacky, healthy(ish) and a little bit sweet, chocolate peanut butter, granola and an apple are a go-to combination. 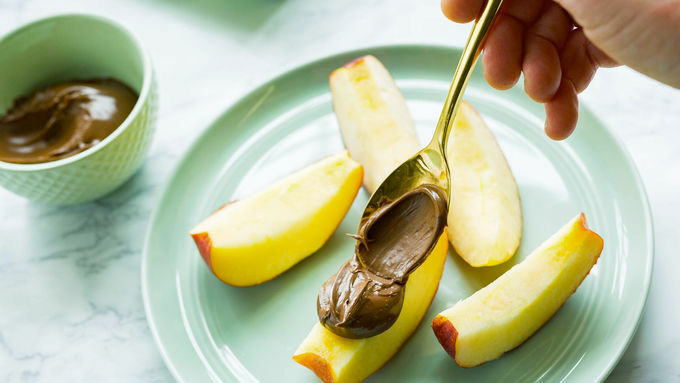 Chocolate peanut butter makes a perfect pairing with a tangy sweet apple. Add a sprinkling of Nature Valley™ protein granola, and you’ll feel like you’ve just hit the snacktime lottery. Or jackpot. Or whatever it is when you just snuck chocolate into your midday snackaging. To round out the protein in this snack, enjoy it with a bit of deli turkey or a slice of cheddar. Both flavors pair nicely with this tasty nosh.